Congratulations to the Grace Kuch Band for winning the Mile High Blues Society's Colorado Blues Challenge! They will represent MHBS at the International Blues Challenge in Memphis, Tennessee in January 2019!! Introducing the 2019 Grace Kuch Youth Band Members. This band consists of young players, but they definitely do not play like their age. Including Grace Kuch, Ethan Christi, Abe Dashnaw and Matan Birnbaum. Fiona Papile, on trumpet, joined the band as well. 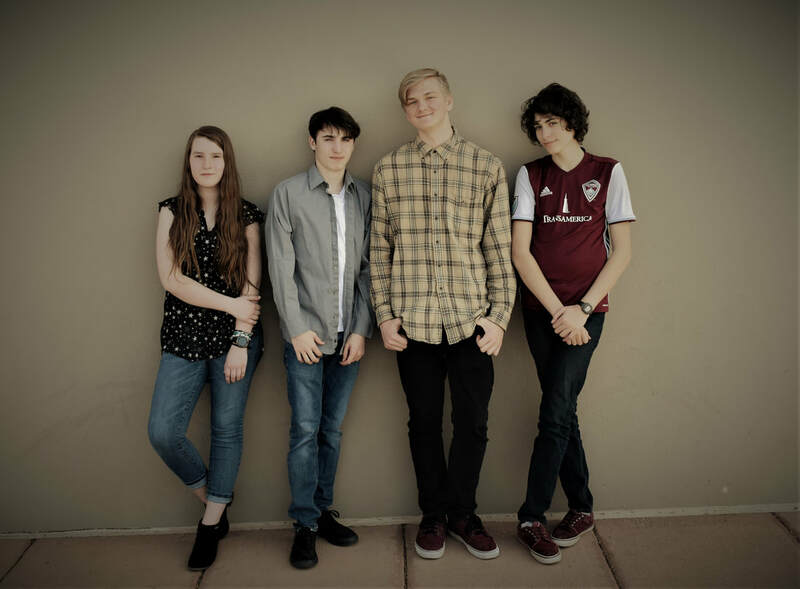 Formed in winter of 2017, when they were brought together by the Little Kids Rock/Modern Band program called the Youth Music Collective. It brought High School musicians together to form performance bands along with workshops for songwriting, recording and many other music skills. The band they formed for the YMC was called M.A.G.E. and they performed at the FoCoMX festival at the Museum of Discovery as well as two shows for the Little Kids Rock/Modern Band Summit Conference at the Downtown Artery and the newly renovated Washington's. All from Fort Collins, the band chemistry was immediate and Grace asked the guys if they wanted to come play some Blues with her. They all agreed and jumped in for the wild ride performing all over Fort Collins and across the state. Having the chance to perform at Colorado Blues Festivals in summer of 2018, including the Greeley Blues Jam and the Blues From the Top Festival. In January of 2019, they will be representing the Mile High Blues Society at the 2019 International Blues Challenge in Memphis, Tennessee. The Grace Kuch Youth Band was nominated to represent the Colorado Blues Society at the 2017 International Blues Challenge in Memphis, Tennessee. This band consisted of three young but fierce ladies of the blues including Grace Kuch, Laine Ford and Jordan “Stixx” Jamison. Formed in summer of 2016 to prepare for the trip to the largest International gathering of Blues musicians in the world. Competitors come from all over the globe and Youth are given the opportunity to showcase their talents during the week long event. Grace Kuch is a multi-instrumentalist who has had an amazing musical journey thus far in her life, just turning 13 years old in 2016. She began with piano at a young age and played bluegrass mandolin starting at age 7. After getting her first electric guitar at the end of 2013, she was called to the blues. Ever since, she’s been on an incredible music pilgrimage, playing blues festivals and attending music camps across the country, even though she’s only in 7th grade. 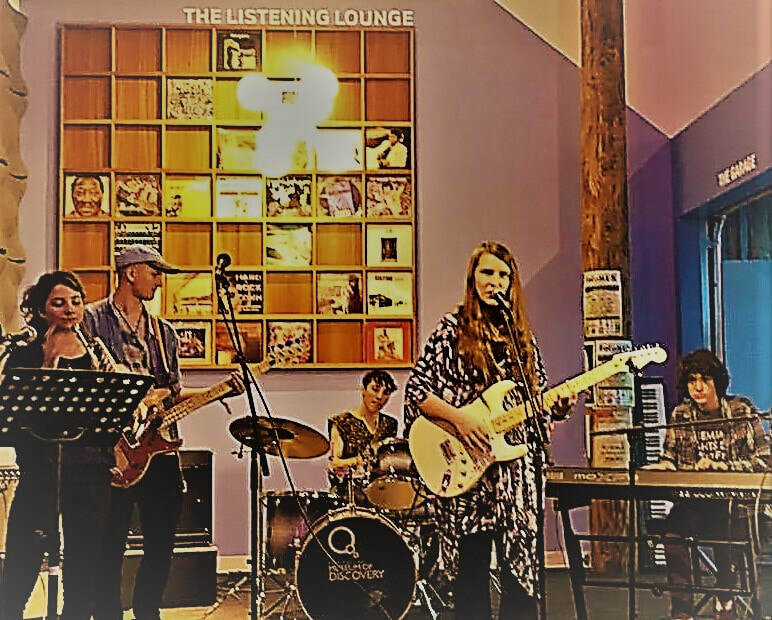 In January of 2016, Grace performed for the first time in Memphis at the International Blues Challenge Youth Showcase representing the state of Colorado. Experiencing such an amazing event, she knew that she just had to get back to Memphis so she assembled this stellar new band to accompany her. With the Colorado Blues Society in support, this Grace Kuch Band was born. Laine Ford found her "soul" instrument, the stand-up bass, at 12 years old. She chose the biggest instrument in orchestra because she is so tall. Fast forward though learning from the best bassist in Denver, polishing her excellent musical skills, playing numerous blues jams and gigs; she is excited to join the band. Laine is a 14 year old 8th grader at Hamilton Middle School in Denver and also runs for the Denver Lightning Track Club. Jordan Jamison's inner drummer was noticed by a man named John Catt at a Blue Star Connection fundraiser, when she was banging on the table with her fork and knife. He saw the spark and she was gifted her first drum set. Three years later, she has graced us with her talent at many jams, festivals, and concerts, throughout Colorado. She has earned the nickname "Stixx" and definitely lives up to that name! She is looking forward to the future and is very excited to be a part of the band. She is an 12 year old 6th grader at the Rocky Mountain School of Expeditionary Learning and she also trains in Brazilian Jiu Jitsu. These ladies have the blues in their souls. Grace’s natural smooth style aligns with the advice of many mentors, say more with less. Laine will charm the masses with her groovy bass lines and killer smile. Jordan brings the fun and flair all while keeping grounded. It has been a wonderful music journey together and we look forward to watching these ladies explode in Memphis. In the Spring of 2017, the journey continued with the exciting addition of Keyboards to the band! Welcome Eric Jones, 14 years old, to the group, his boogie-woogie stylistic play adds a perfect new dimension to the Grace Kuch Band sound! The Youth Band was seen at the Greeley Blues Jam on the Blues 101 Stage on June 10, 2017 and also on July 15, 2017 in Midland, TX at the Tall City Blues Festival!